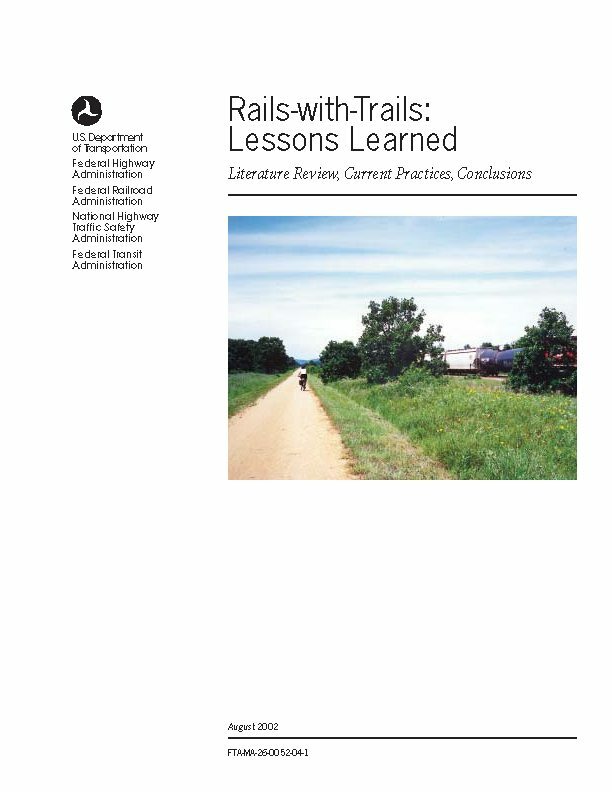 This report offers conclusions about the lessons learned in the development, construction, and operation of “rails-with-trails” so that railroad companies, trail developers, and others can benefit from the history of trails in existence today. An analysis of existing literature, focused on RWT studies and projects, legal documents, and railroad safety experience. Focused case studies of 21 geographically diverse RWT projects representing a variety of railroad and trail characteristics. For each trail, researchers conducted interviews with railroad officials, trail managers, and law enforcement officials. They also gathered data about before-and-after conditions related to safety, trespassing, vandalism, and conflicts. Educational efforts underway, through a survey and ongoing discussions with railroad officials, trail managers, and Operation Lifesaver officials.